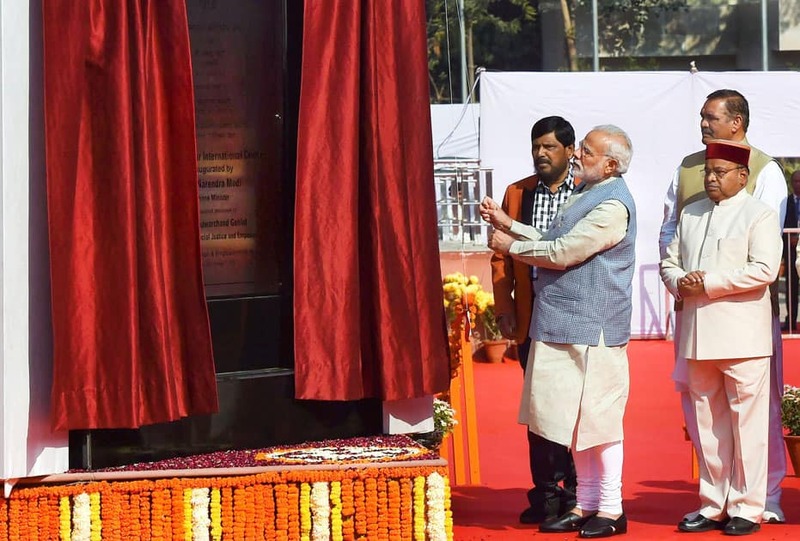 Prime Minister Narendra Modi inaugurates Dr Ambedkar International Centre in New Delhi. 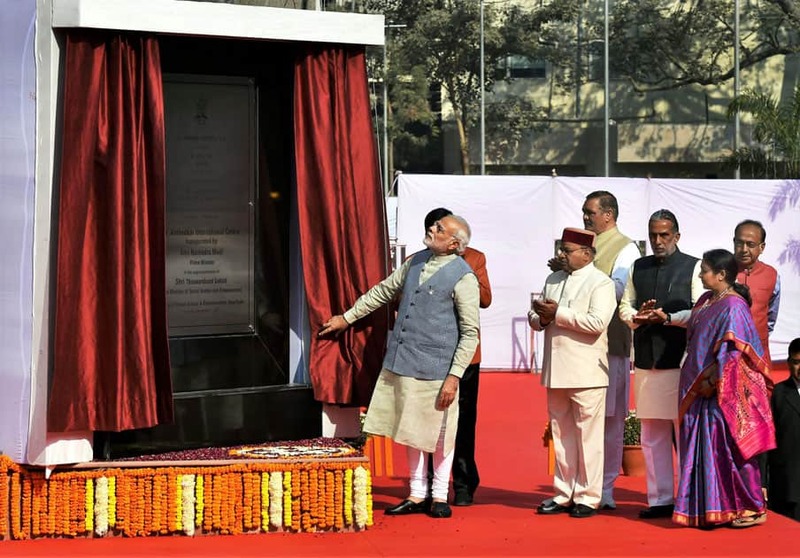 Prime Minister Narendra Modi unveils the plaque to dedicate Dr. Ambedkar International Centre to the Nation in New Delhi. 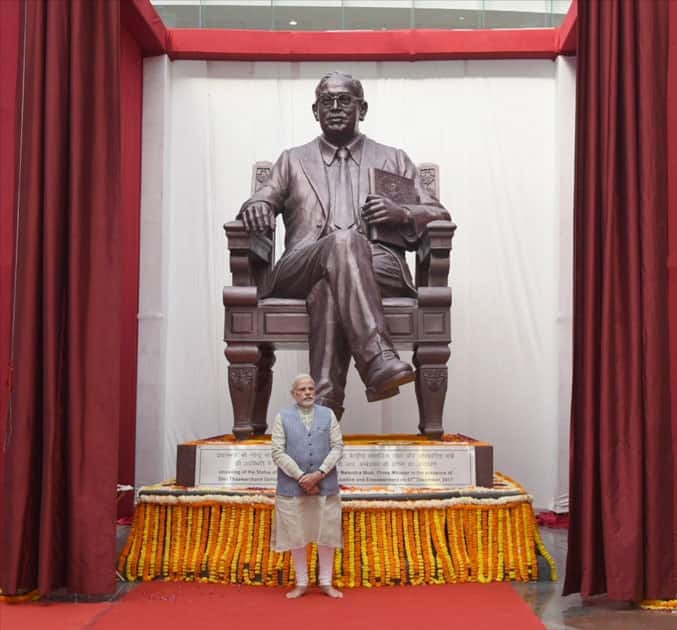 Prime Minister Narendra Modi at the newly inaugurated Dr. Ambedkar International Centre in New Delhi. 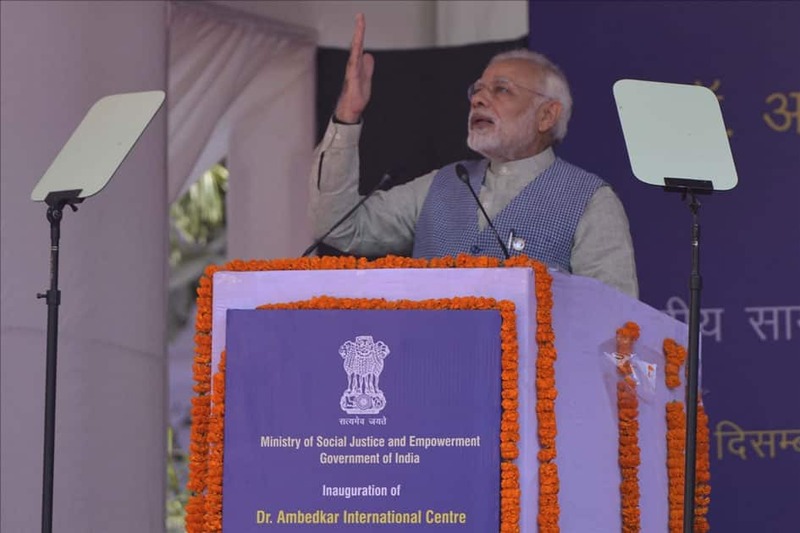 Prime Minister Narendra Modi unveils a plaque to dedicate Dr Ambedkar International Centre to the nation, in New Delhi. 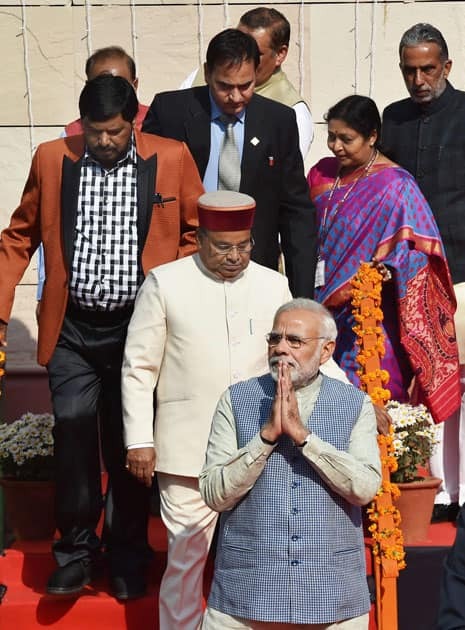 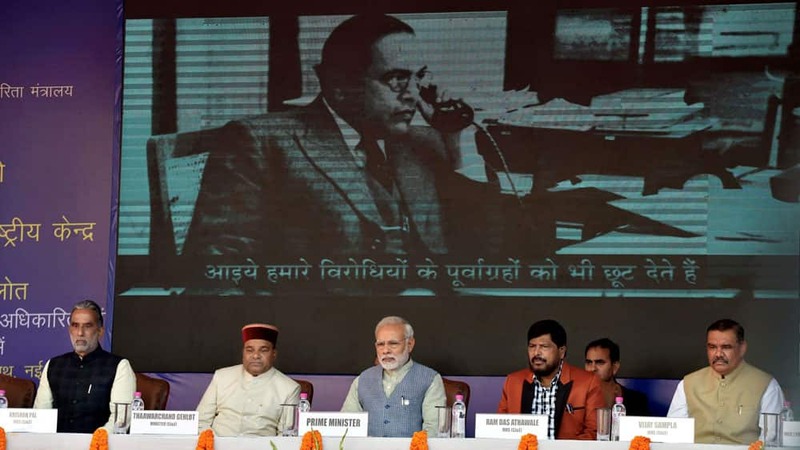 Prime Minister Narendra Modi with Union Minister for Social Justice and Empowerment, Thaawar Chand Gehlot and MoSes Vijay Sampla, Ramdas Athawale & Krishan Pal at the dedication of Dr Ambedkar International Centre to the nation, in New Delhi. 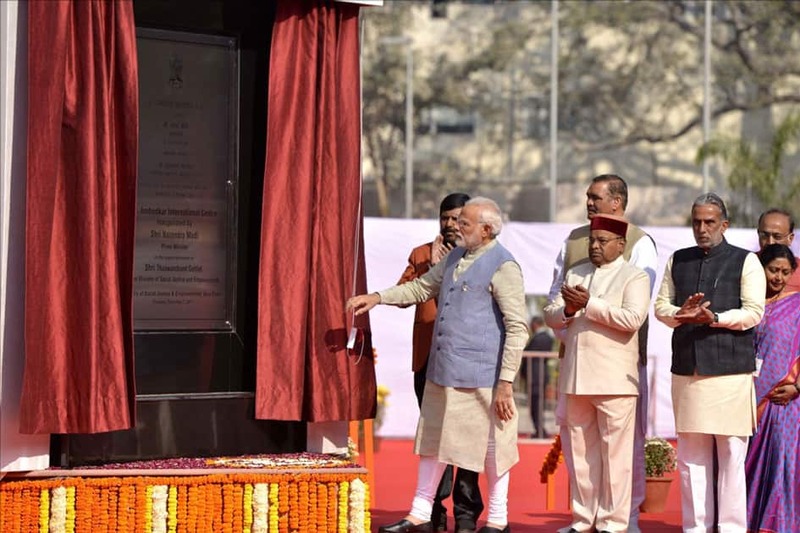 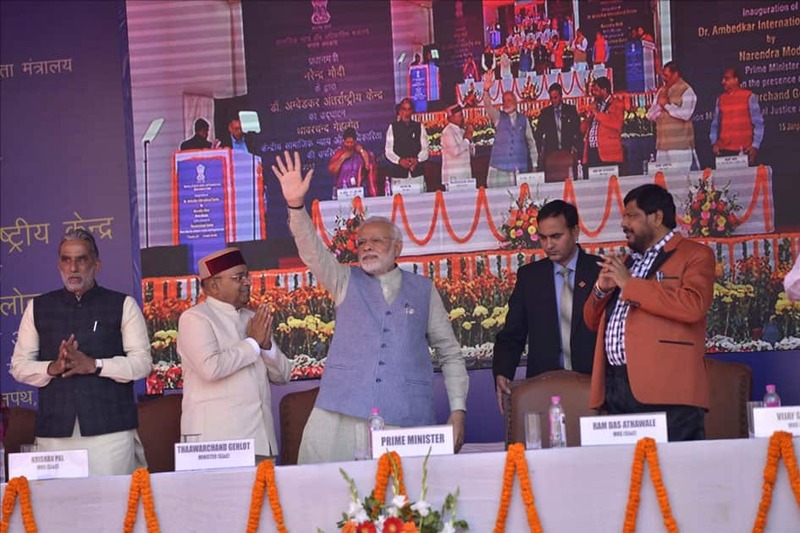 Prime Minister Narendra Modi with Union Minister for Social Justice and Empowerment, Thaawar Chand Gehlot and Moses Ramdas Athawale & Krishan Pal at the dedication of Dr. Ambedkar International Centre to the nation, in New Delhi. 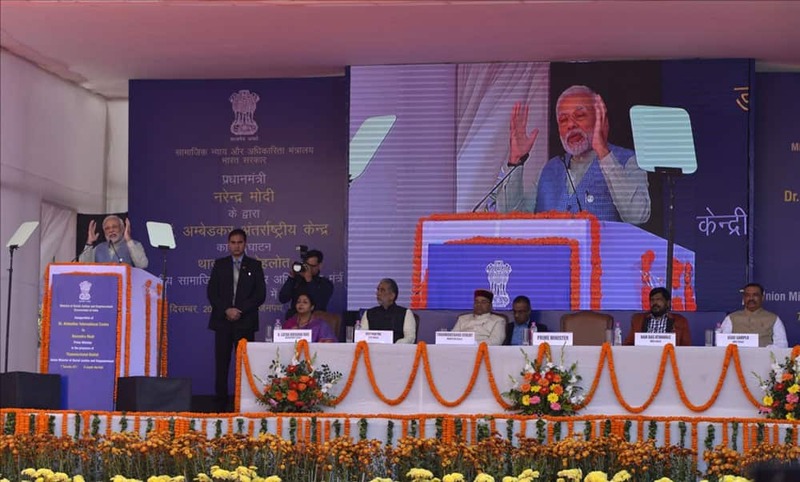 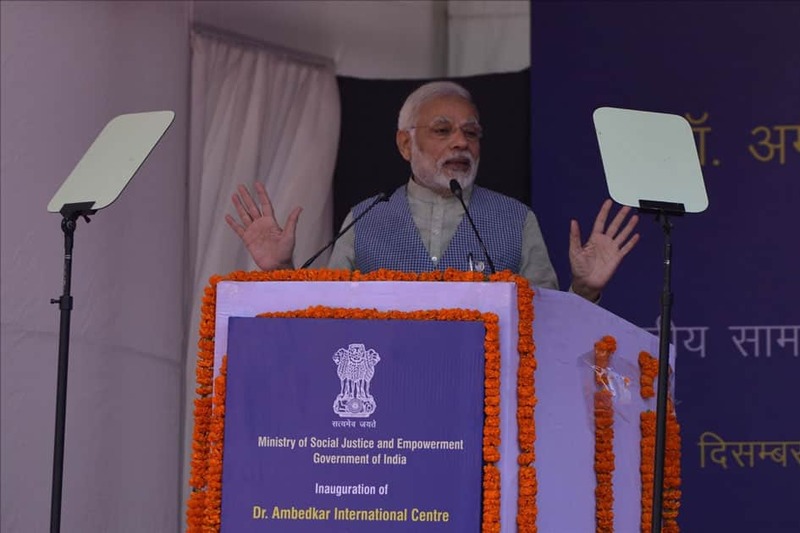 Prime Minister Narendra Modi addresses at the inauguration of Dr. Ambedkar International Centre in New Delhi. 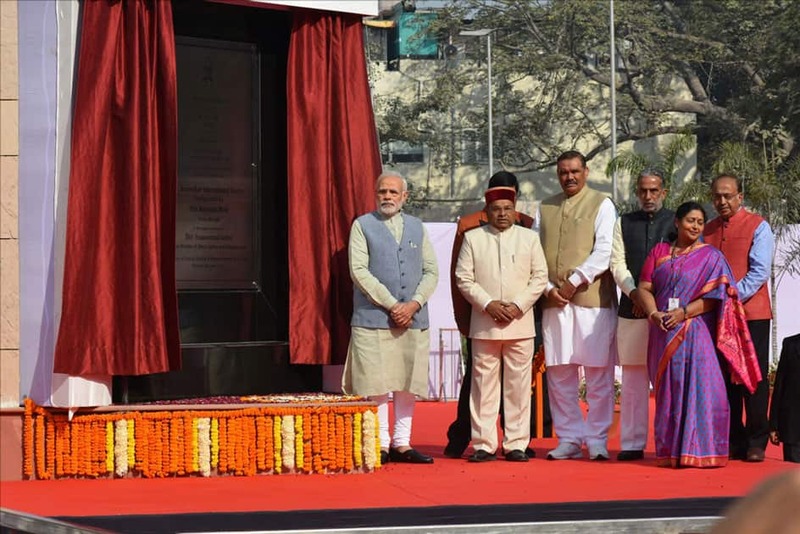 Prime Minister Narendra Modi unveils the plaque to inaugurate Dr. Ambedkar International Centre in New Delhi. 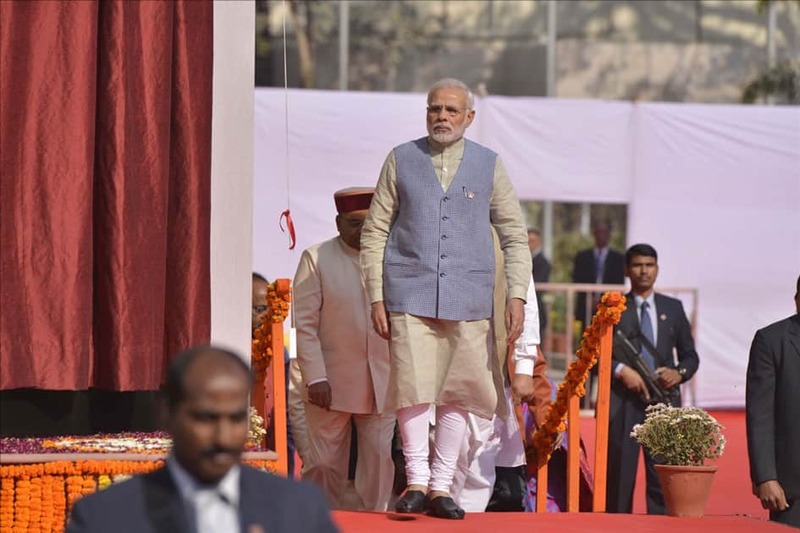 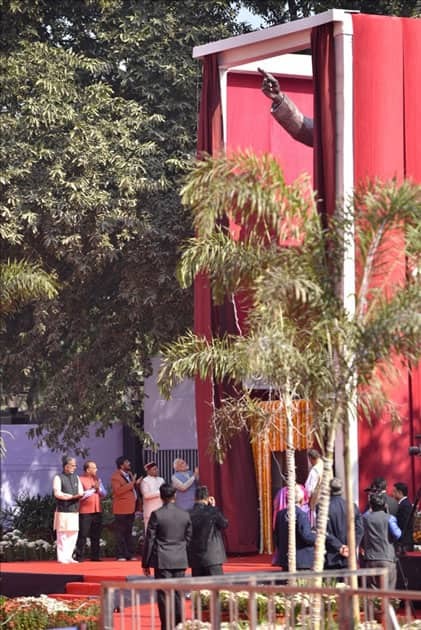 Prime Minister Narendra Modi arrives to inaugurate Dr. Ambedkar International Centre in New Delhi. 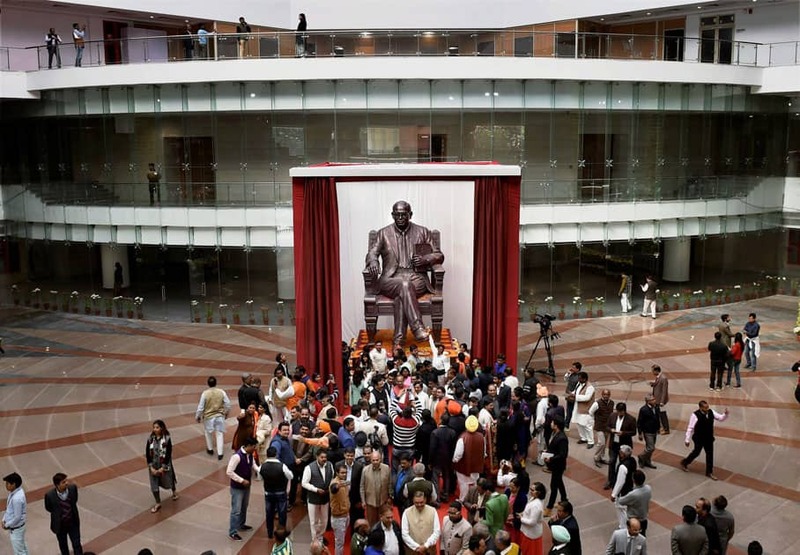 People clicking pictures of a statue of Dr. BR Ambedkar installed at Dr. Ambedkar International Centre, that was dedicated to the nation by the Prime Minister in New Delhi.